Congratulations to Bessborough Centre Mahon, Cork – Adult Leaving Cert. 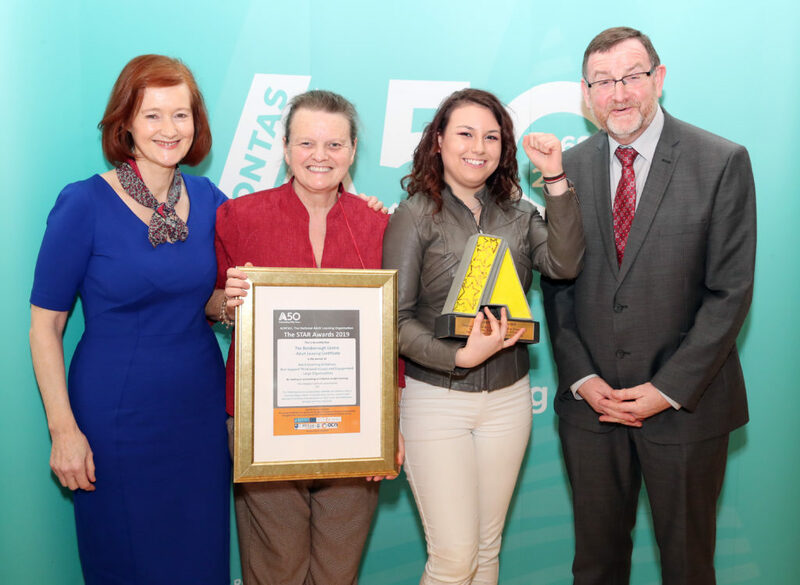 Winner of an AONTAS Star Award for showcasing teamwork. The Centre provides education to adults who experience difficulty accessing formal education due to disadvantage and challenging home circumstances. It is a great initiative with CETB adult educational guidance service in Cork city providing considerable support, advice and assistance. Address: 1 Brennan's Parade, Bray, Co Wicklow.